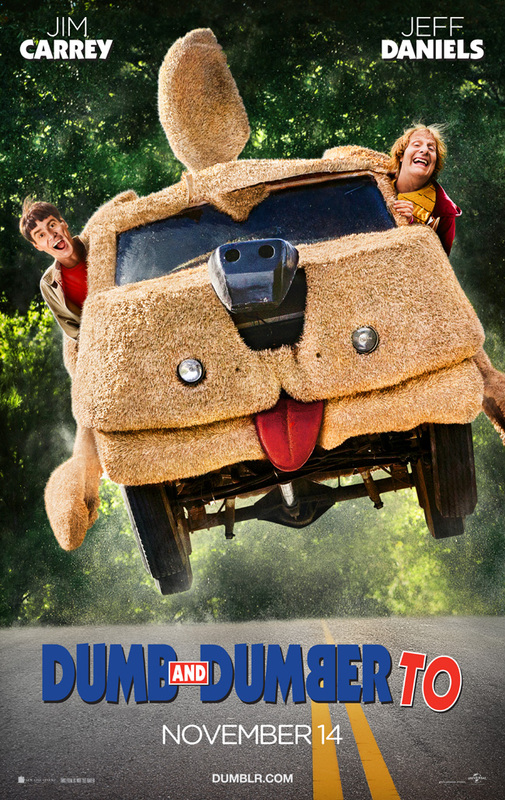 “Dumb and Dumber To,” which opens on Nov. 14, 2014 and is rated “PG-13,” also stars Kathleen Turner, Rob Riggle, Laurie Holden, Rachel Melvin, Steve Tom, Don Lake, Patricia French and Tembi Locke from directors Bobby Farrelly and Peter Farrelly and writers Sean Anders and Mike Cerrone. To win your free “Dumb and Dumber To” passes courtesy of HollywoodChicago.com, just get interactive with our social media widget below. That’s it! This screening is on Wednesday, Nov. 12, 2014 at 7 p.m. in downtown Chicago. The more social actions you complete, the more points you score and the higher yours odds of winning! Completing these social actions only increases your odds of winning; this doesn’t intensify your competition! Jim Carrey and Jeff Daniels reprise their signature roles as Lloyd and Harry in the sequel to the smash hit that took the physical comedy and kicked it in the nuts: “Dumb and Dumber To”. The original film’s directors, Peter and Bobby Farrelly, take Lloyd and Harry on a road trip to find a child Harry never knew he had and the responsibility neither should ever, ever be given. The Farrelly brothers produce “Dumb and Dumber To” alongside Riza Aziz and Joey McFarland of Red Granite Pictures. They are joined by fellow producers Charles B. Wessler and Bradley Thomas. Universal Pictures will distribute the film in the United States, Canada and select international territories. The movie poster for “Dumb and Dumber To” starring Jim Carrey and Jeff Daniels. This HollywoodChicago.com Hookup is simple! Just get interactive in our social media widget above. We will award 40 admit-two movie tickets based on social entry numbers and/or randomly via e-mail for our “Dumb and Dumber To” Hookup. Good luck!